Baby’s got the bends? Tough luck. 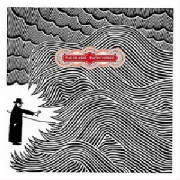 Radiohead devotees will have to wait until 2007 for the band’s highly anticipated follow-up to 2003’s Hail to the Thief, but Kid A enthusiasts will surely be delighted with The Eraser, Thom Yorke’s largely electronic solo debut. If you’re expecting guitar-driven stadium anthems like “Creep” and “Fake Plastic Trees,” think again. The Eraser features hardly any guitars, replacing them (not altogether satisfactorily) with drum machines and digital textures familiar to anyone who’s followed Radiohead’s post-OK Computer trajectory. Even so, it is a triumph. Yorke’s brand of discordant techno-pop is not always easy to digest, but his solo musings seem somehow more palatable with each successive listen. Here, his seductive drone and plaintive lyrics lend unmistakable poignancy to the album’s finest cuts, including “The Clock” and “Harrowdown Hill,” his moving tribute to the late Dr. David Kelly, a U.N. weapons inspector in Iraq whose death, under suspicious circumstances, was conveniently ruled a suicide.